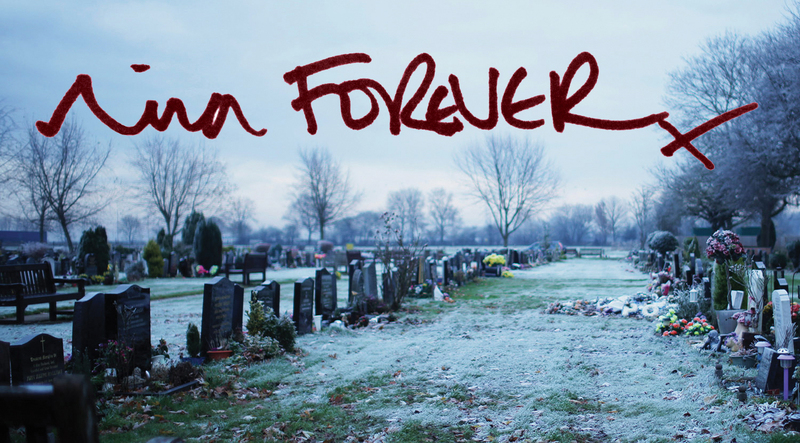 We’re hugely looking forward to our Inside Comedy: Nina Forever day at BFI Southbank next Saturday 18th May. It’s a unique opportunity to look behind the scenes of the hotly anticipated first feature by BAFTA nominees and Screen Stars of Tomorrow the Blaine brothers, during the post-production of the film. We’re delighted to confirm that two of the stars of Nina Forever, Abigail Hardingham and Cian Barry, will be joining us in conversation with casting director Emily Tilelli, discussing their casting, rehearsal and performances. There will also be sessions with Damien Creagh (Production Designer), Oli Russell (Director of Photography) and of course the writers/directors Chris and Ben Blaine, who will also be hosting a live editing session looking at an unfinished scene, and sharing unseen footage. We’ll also be talking to award-winning film makers Destiny Ekaragha (director, Gone Too Far) and producer Annalise Davis (producer, Up There) about the challenge of making your first feature, and we’re thrilled to welcome legendary British film-maker and author Chris Petit, director of Radio On and other classics, in conversation with the Blaine brothers, who have been hugely influenced by his work. It’s a perfect day for film fans, film-makers, actors and industry insiders, and there will be lots of opportunities to meet the cast, crew and other film-makers over coffee, lunch and evening drinks. Tickets are just £45 for the whole day including lunch (10am – 5.30pm) at BFI Southbank. You can book your tickets right here. Television credits include: Cardinal Burns for Left Bank Pictures; Lewis for ITV1; multi-episodes of hit BBC series Waterloo Road; DOCTORS for BBC Television; lead regular role in BBC series Sparticles; SILENT WITNESS for BBC Television; lead regular role in Freemantle’s Freak and Parents Of The Band for BBC Television. Film credits include: Leading role of Gail in Gail and Gary for Red Rag Pictures; In The Back for Academy Films and Harry Potter and The Half Blood Prince for Warner Brothers. Irish-born actor Cian Barry’s film credits include leading roles in RPG, Holy Water and Ghost Town. His television credits include New Tricks, Titanic, Shameless, Waking The Dead and Man And Boy. Stage credits include Billy Bibbit in One Flew Over The Cuckoo’s Nest (UK tour), The Member Of The Wedding (Young Vic) and The Rivals (Southwark Playhouse). Most recently in 2012, Cian played opposite Laurence Fox, Matthew Lewis and Arthur Darvill in a West End production of Our Boys at the Duchess Theatre, London. Thank you to everyone at BFI Southbank, to our friends at Shooting People and Film London, and to Creative Skillset, who support LOCO Training through the Creative Skillset Film Skills Fund.